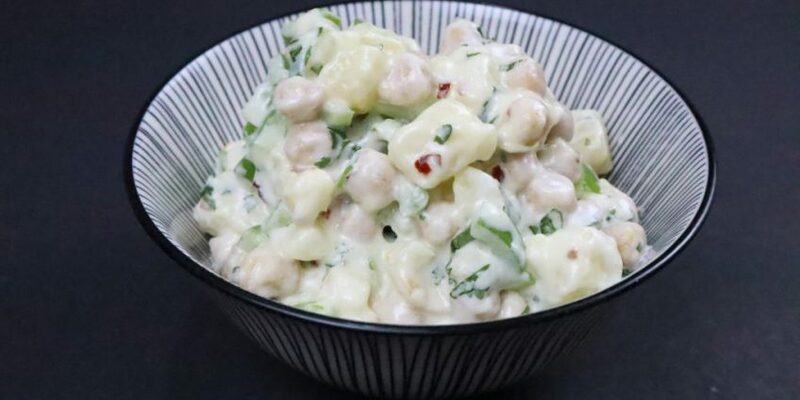 Potato chickpea salad is a lip-smacking salad with a tangy, sweet and sour taste. 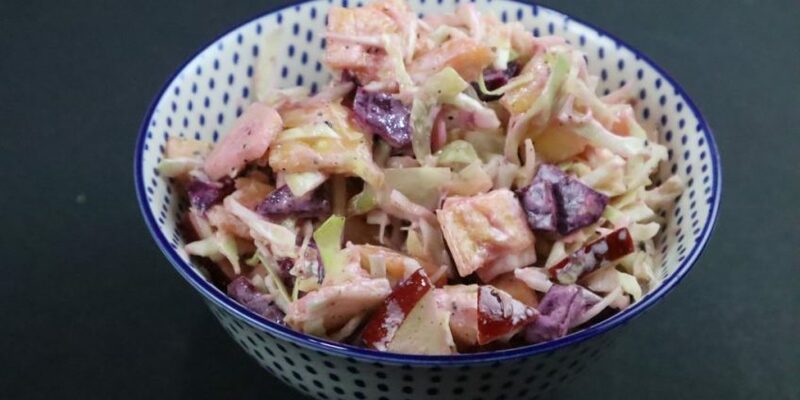 It is a vegan, protein-rich & vegan-free salad ready in less than 20 minutes. 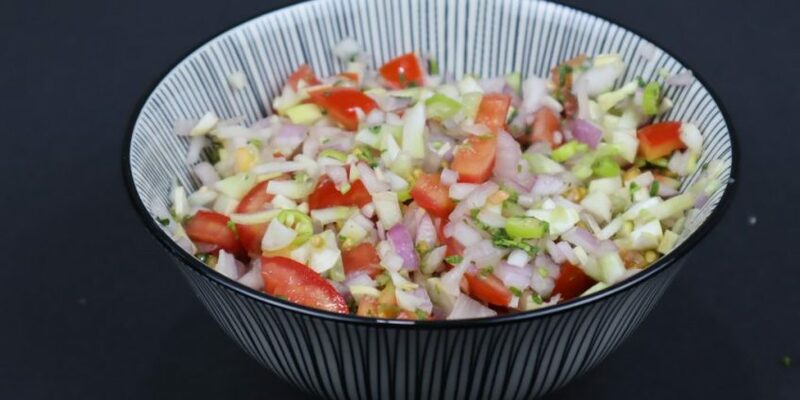 It is a complete lunch salad which can be served as a side dish or raw dish. 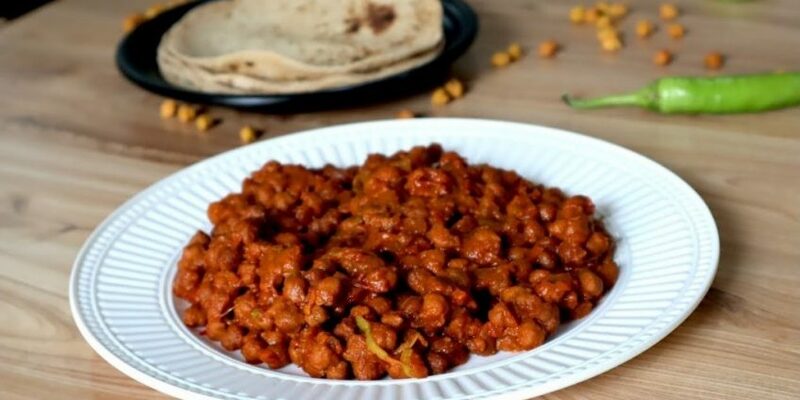 It is a scrumptious way to eat chickpeas. Chickpeas are packed with nutrients and good to keep your appetite in control. It is best for blood sugar control. This salad should be tried once in life. People who don’t eat chickpeas will start loving it more. You can even pack this nutrient salad for your kid’s snack box. It will fill their tummy with some power pack nutrients as well as give them strength to run over the whole day. I recommend this salad to people who are looking to weight gains. 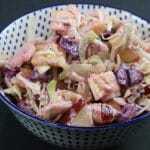 It is healthy in nature and one of the tastiest salad you will ever eat. Take a bowl. Add boiled potato cubes, boiled chickpea, bell peppers, and coriander. For dressing now add olive oil, greek yogurt, mayonnaise, salt to taste, black pepper, powdered sugar, red chilly flakes. 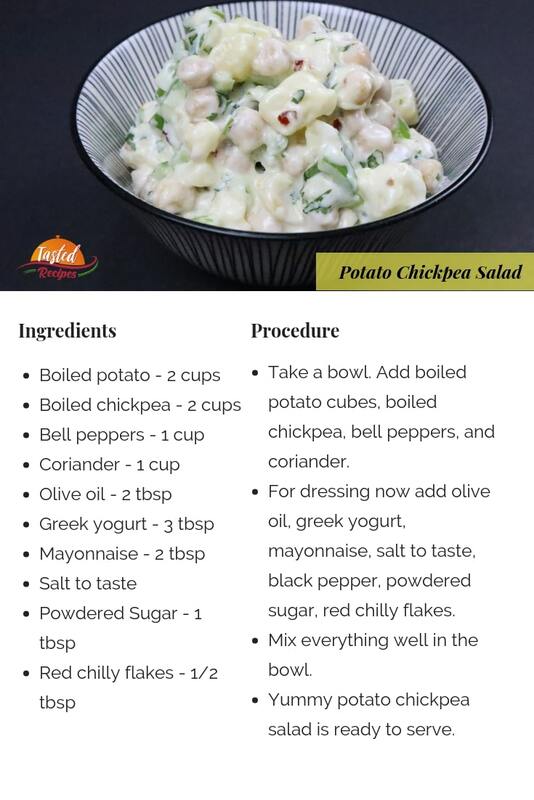 Yummy potato chickpea salad is ready to serve.